Track IQ have developed an advanced triggering method that allows the system to precisely capture the image of target while keeping power consumption to minimum. The system consists of Image Capture Units (ICU), set up in such a way that the entire profile of the wheel head is captured. The ICUs use a high shutter speed rate controlled by high speed strobe lighting. The cameras and strobe lights are synchronized and triggered by digital packets, which means that the images are never misaligned. 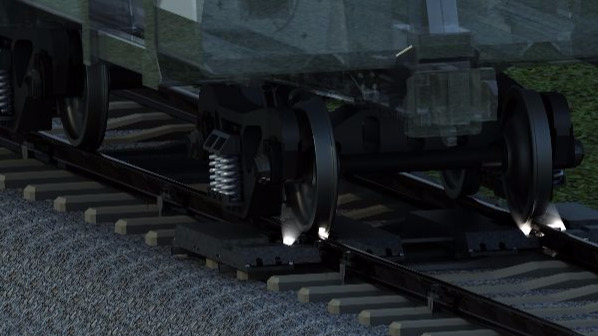 The system monitors the movement of each axle, bogie, and wagon to ensure the precise triggering. 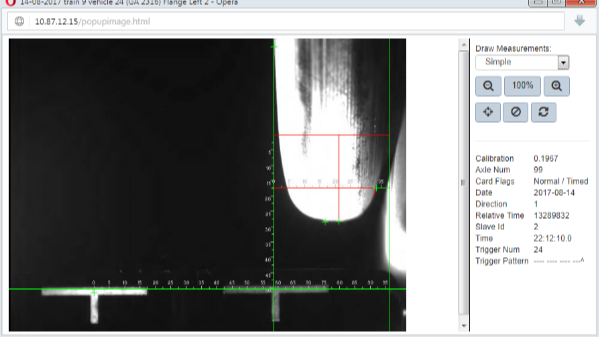 verification of the measurements through manual auditing, and therefore yield higher accuracy. Measurement accuracy is not affected in the situation of distortions caused by train unusual movement. WPM does not require frequent calibrations which could reduce operation cost. The Wheel Profile Monitor has been accredited by the Association of American Railroads to Six Sigma for Gage Reliability and Repeatability. 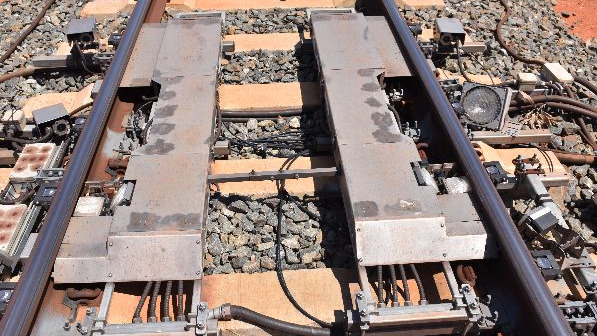 The reference marker (T-targets) provides a fixed calibration point which eliminates error that would otherwise be introduced by rail and wheel movement.